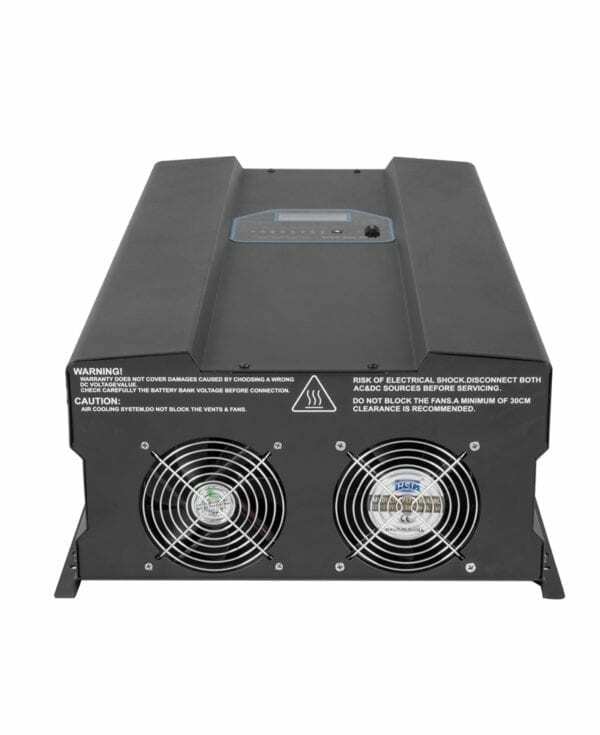 This 15000 watt pure sine wave inverter is off grid, it is designed to work with grid tie inverters in ac coupled battery backup systems. 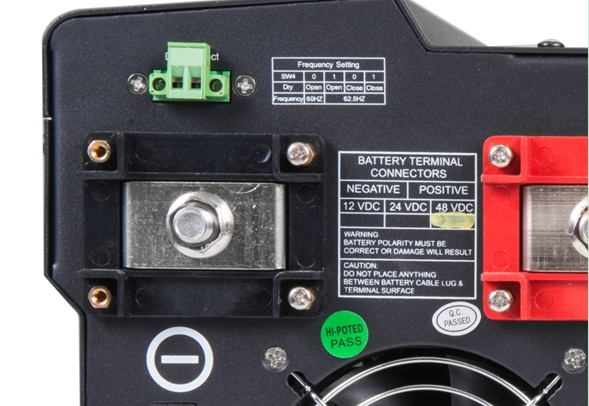 It works with most batteries on market and also has one voltage algorithm developed for Tesla car battery modules. 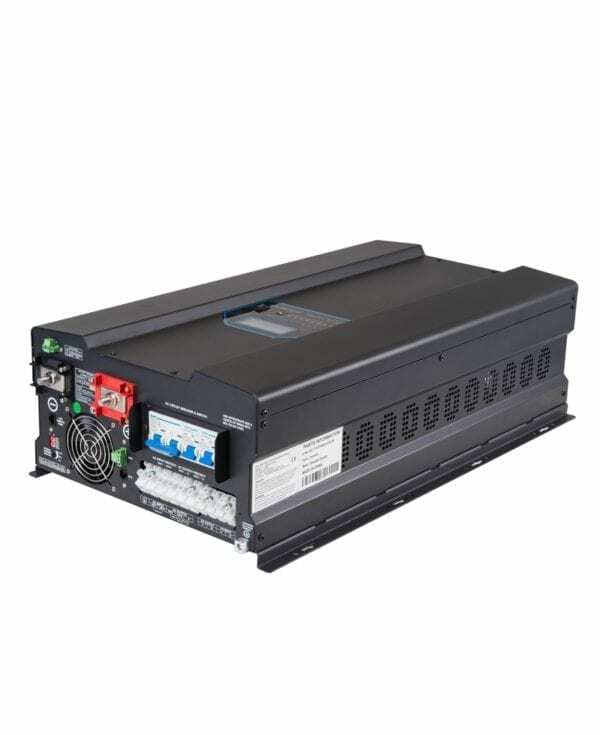 It is transformer based with 300% output surge capacity. 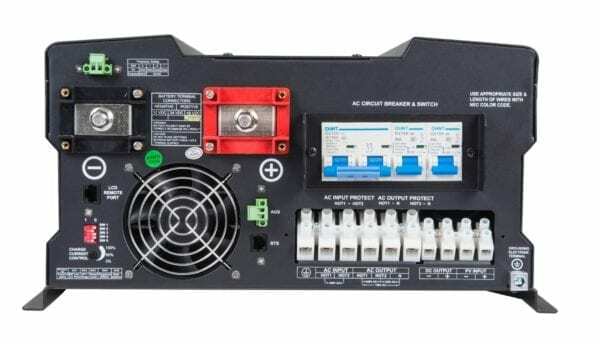 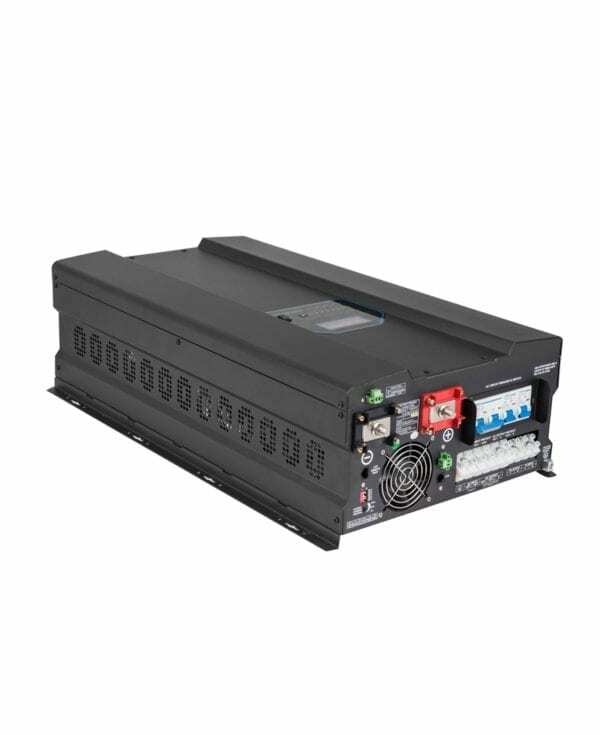 It converts 48v to 120/240V split phase.